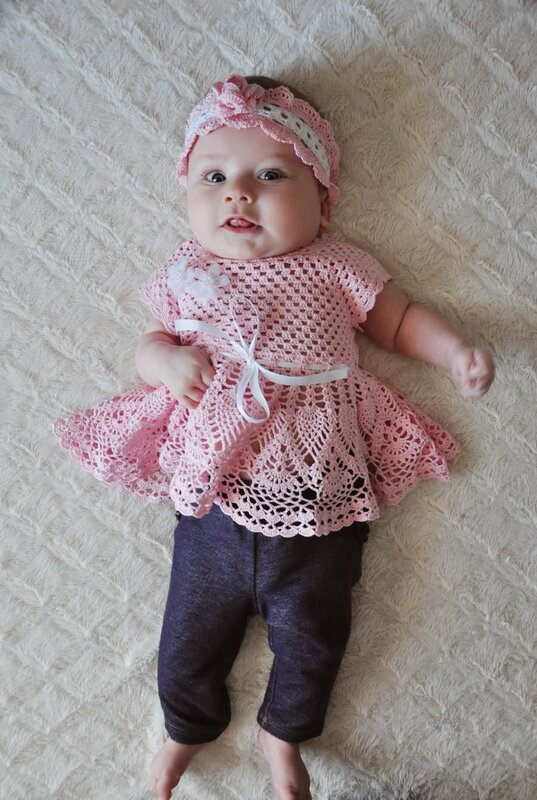 I’m several days late with Mila’s monthly update, but hey, that’s life with a baby for you. Mila has changed so much this month – and, as is to be expected, I am simultaneously amazed and saddened. I’m sure every mother can relate. Not that she was ever a little baby (may I remind you she was 9 pounds, 6 ounces at birth), but she is officially no longer a newborn. Cue the uncontrollable tears. As a result, I’ve been steering clear of her newborn pictures and videos until I am more mentally stable. Mila is becoming the sweetest little girl, and I love discovering more and more of her vibrant personality every day. My absolute favorite milestone this month has been her belly laughs. It’s the sweetest sound in the universe – one that I, surprisingly, was able to capture on camera and have re-watched a hundred billion times since then. Two ways to guarantee giggles is to blow raspberries on her naked belly or on the bottom of her feet. Speaking of naked, our girl hates wearing clothes, and I am at a total loss on how to remedy that. Speaking of clothes, we’ve long moved onto wearing clothing for 6 and 9 months. She’s gotten quite big – over 16 pounds, to be exact, and 25 inches long. If recent blowouts are any indication, it’s likely also time to graduate to size 3 diapers. She’s nearly outgrown her bassinet, so if anyone has suggestions on affordable, compact cribs or cradles, I’m all ears. Our bedroom is too small to fit her big-girl crib, and too small to fit a king-size bed, so co-sleeping is also not an option. Mila loves using her legs to push up her bottom and has even rolled over a couple of times from her belly to her back. She used to stare up at me in shock before bursting into tears every time we’d practice rolling over, but now she’s all giggles. Tummy time is her favorite; she always attempts to scoot herself forward, so I’m sure crawling is on the horizon. Mila has recently discovered her hands and is totally mesmerized by them. She has excellent hand-eye coordination, as illustrated by how quickly her fists find her mouth the minute she wakes up. Speaking of putting things in her mouth, she has been drooling nonstop for what feels like an eternity. Some people say it’s salivary gland development; others are convinced she’ll start teething soon. She’s definitely been putting everything within reach (including mama’s collarbone or shoulder – whatever happens to be closer) in her mouth, but I think that’s how babies discover the world at this stage. At least that’s what I keep telling myself – because this breastfeeding mama ain’t ready for teeth! Because of her newfound agility, we rarely swaddle her any more. She escapes in a matter of seconds. Yet she still wants to be wrapped tightly when sleeping, so sleep sacks have been a big help. What are your favorites? Mila is obsessed with her mirror reflection, and although she has no idea she’s looking at herself, she sure loves what she sees! She also loves taking selfies and is a huge fan of face-timing daddy at work every day (let’s be honest, probably so she can stare at her own reflection). 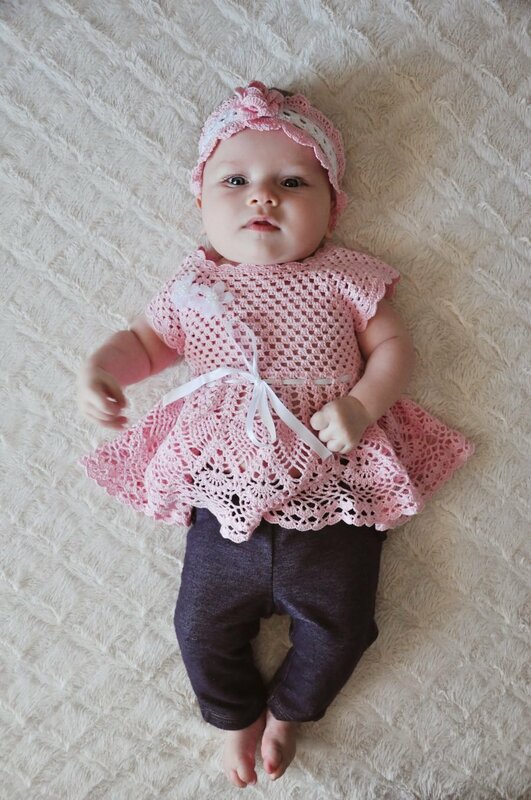 She now stays up for longer stretches of time during the day and usually spends that time entertaining herself in her swing or with a rattle, which she can now hold and shake all by big-girl herself. Sometimes I catch her smiling at me, and it’s the sweetest thing ever. Other times, she folds her little hands together and stares off into the distance, as if contemplating life. Bath time, strolls in the park, and conversations with mama are still some of her favorite things, as is being carried upright and facing out so she can see everything and everyone around her. Her favorite toy at the moment is her mobile (you can see it in her nursery tour). We’ve moved it to our room for the time being, since that is where she spends most of her time. Mila absolutely hates diapers. Now that she’s a bit more mobile, diaper changes are becoming a bit of a nightmare. She literally attempts to wiggle out of the diaper by scooting herself up on the mattress pad until the diaper is at her feet. I knew most children are not fans of diapers, but I never thought it’d happen so soon! 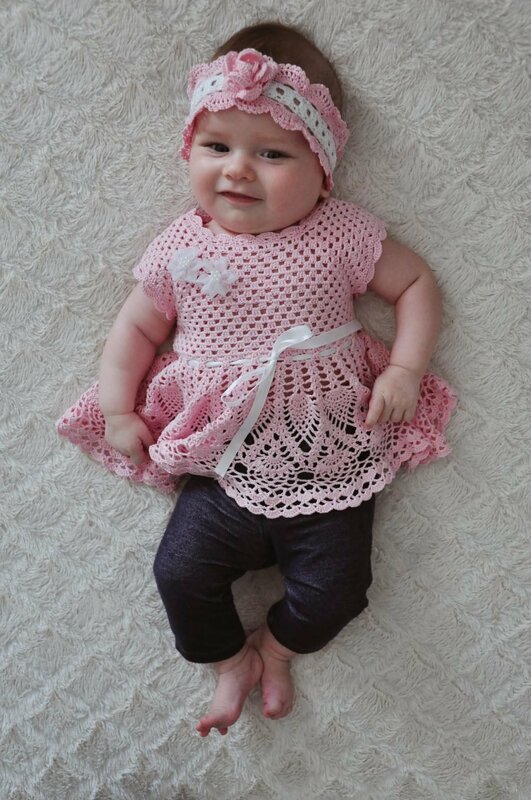 She also hates wearing hats, which is such a shame because grandma supplies her with the cutest knitted and crocheted bonnets. Remember how she used to love car rides and would almost always fall asleep? Yeah, those were the days… She’s developed this new way of entertaining mama while I drive, where she screams at the top of her lungs until she’s completely lost her voice, at which point she suddenly stops and is back to her normal, sweet self. I am praying this is some sort of phase. Because goodness, you need nerves of steel not to veer off the road during one of these episodes. As is typical with many babies, Mila has lost a lot of her baby hair on the sides of her head. At this point, she’s pretty much sporting a mohawk. There’s also a ribbon of very dark, very straight hair at the nape of her neck, which I find hilarious. I’m hoping the hair grows back curly and black, like her daddy’s. Recently, she’s started waking up every 1-2 hours at night to feed – a development I am most definitely not a fan of. I’m used to her sleeping 5- or 6-hour stretches at a time. I’ve read that around this stage babies go through a huge brain development phase. As a result, the routine you’ve taught them up to this point flies out the window. God give me strength and patience if that is the case. 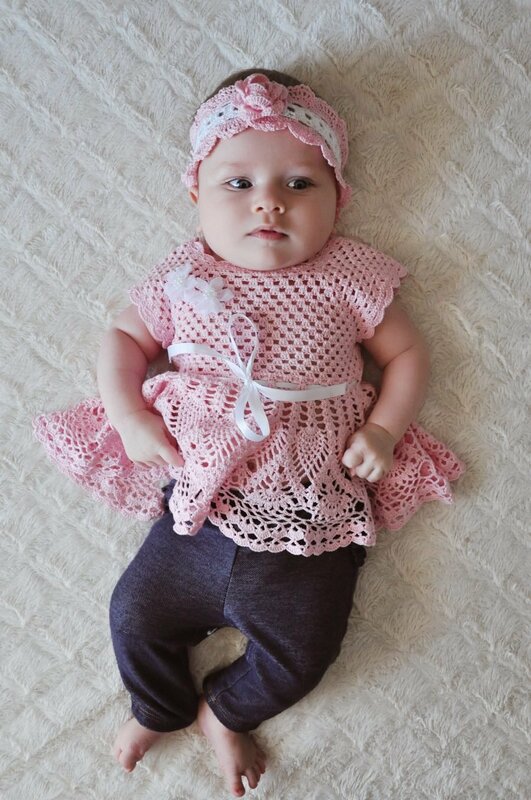 See Mila’s 1-month update here and 2-month update here. If you missed Mila’s birth story, you can catch up here. If you’d like to see her oh-so-cute nursery, you can tour it here. Otherwise, feel free to peruse all other “Motherhood” articles.